ChargeIt by Jay Round Gold Placemat 14-1/2"
Home > Products > ChargeIt by Jay Round Gold Placemat 14-1/2"
An excellent piece for everyday use and special occasions, the ChargeIt by Jay Round Gold Placemat 14-1/2" has a textured feel, graceful shape, and adds a lavish color to the table. 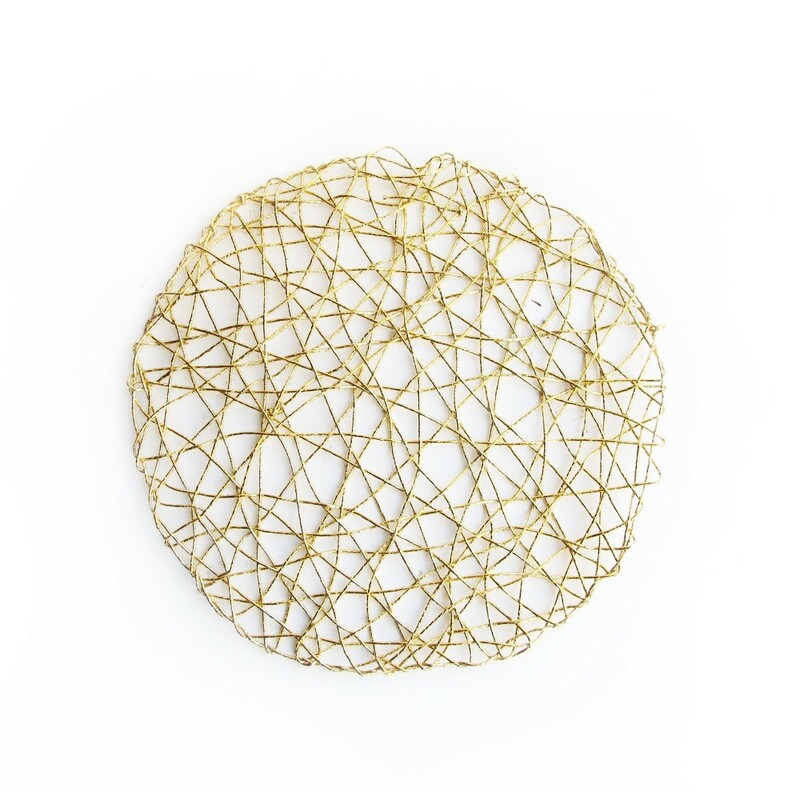 Beautifully designed with curved, overlapping lines in glamorous gold, this placemat easily complements any decor or dinnerware. This flexible and exceptionally durable placemat not only adds visual interest but also provides protection against spills and mess. Perfect for indoor and outdoor use, this placemat is a breeze to clean with a damp cloth.